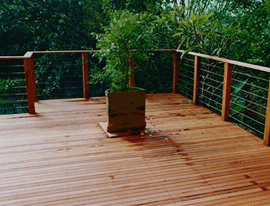 Our vision is to design and construct superior outdoor timber decks and pergolas that will not only compliment your existing structures, but will also enhance your homes natural beauty and make the most of your outdoor living experience. 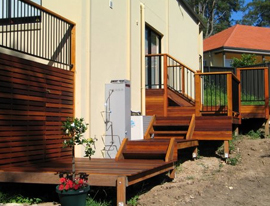 Our timber deckings, pergolas, fences and stairs can be custom designed to suit your home and landscaping, adding value and appeal to your property. We service the Gosford and the Central Coast of NSW which includes surrounding suburbs such Erina, Wamberal, Terrigal, Avoca Beach, Tumbi Umbi and Kincumber. 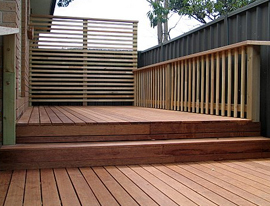 Decking Plus Pty Ltd was established in Sydney Australia in 1986 by Phillip and Tracy Lovett, who own and run this family business. After 30 years in the industry, we aim to serve you with integrity and ensure you get the most attractive and well-constructed entertainment deck area possible. 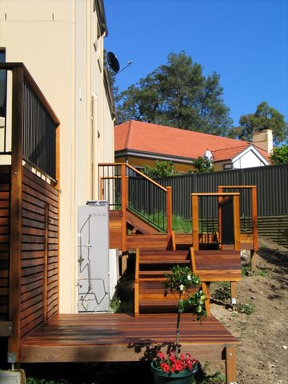 Our timber deckings, pergolas, fences and stairs can be custom designed to suit your home and landscaping, adding value and appeal to your property. We service the Gosford and the Central Coast of NSW which includes surrounding suburbs such Erina, Wamberal, Terrigal, Avoca Beach, Tumbi Umbi and Kincumber. We employ our own fully trained carpenters and do not employ highly commissioned salesmen or subcontractors. This means from the first point of contact to the completion of your project you are dealing with fully dedicated, accountable professionals. Browse our galleries above to get an idea of what we can do for you and your home. We can tailor all our services to meet your specific needs and the layout of your property. 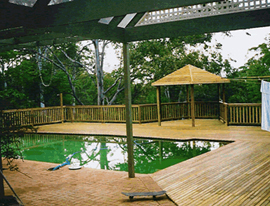 Entertain with stylish and contemporary decking and pergolas that compliment your home. Don’t settle for second best, go to the Contact Us page today to make an obligation free enquiry.